DURAMET 36 month progress meeting has been held on 3-4 December 2014, in Bietigheim-Bissingen, Germany at new FuMa-Tech facilities. DURAMET 33 month web meeting was held on 11 September 2014. 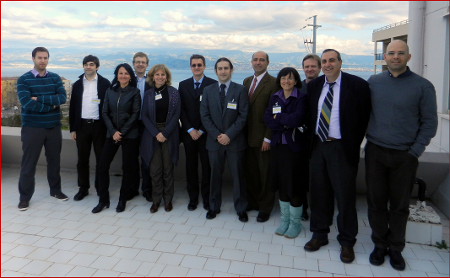 DURAMET 30 month progress meeting will be held on 20 June 2014, in Montecatini, Italy, during the CIMTEC 2014 symposium. DURAMET 27 month web meeting was held on 6 March 2013. DURAMET 22 month web meeting was held on 6 September 2013. DURAMET 18 progress meeting hosted by the IRD was held on 30-31 May 2013, in Svendborg, Denmark. DURAMET 13 month web meeting was held on 26 February 2013. DURAMET 12 month progress meeting hosted by the Technical University of Munich was held on 17-18 December 2012, in Munich, Germany. DURAMET 11 month web meeting was held on 13 November 2012. DURAMET 6 month progress meeting hosted by CNRS, was held on 4-5 July 2012, in Montpellier, France. 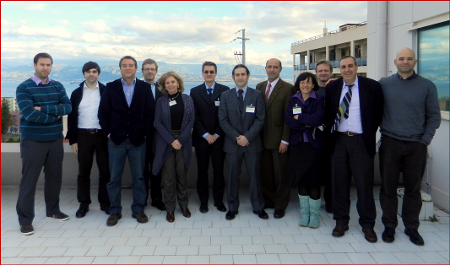 DURAMET Kick-off meeting hosted by CNR-ITAE, was held on 17 January 2012, in Messina, Italy.